Health benefits of kimchi include an improved heart health and a healthy digestive system. The wealth  of antioxidants in it exercise healing effects in medical conditions like cancer, diabetes, obesity, atopic dermatitis, and gastric ulcers. This flavonoid and probiotic-rich food delays aging, regulates cholesterol levels, and boosts the immune system. Kimchi is a low-calorie, high fiber, and nutrient-packed  side dish. It is a storehouse of a range of vitamins such as vitamin A, vitamin B1, vitamin B2, and vitamin C. It is also rich in essential amino acids and minerals such as iron, calcium, and selenium. It has an impressive assortment of powerful antioxidants and provides an additional benefit of probiotics as well in the form of lactobacillus bacteria. It contains numerous helpful components including capsaicin, chlorophyll, carotenoids, flavonoids, and isothiocyanates and has a low amount of fat and sugar. The delectable taste of kimchi, which has been admired globally comes with a super bonus of health benefits attributing to a range of qualitative evidence supported by several pieces of research. The major health benefits have been discussed below. Regular consumption  of kimchi has a beneficial effect on the levels of cholesterol. Garlic, which is used to prepare it is rich in selenium and allicin. Allicin is an eminent component which helps in lowering the cholesterol levels, thereby, reducing the risk of developing cardiac disorders such as strokes and heart attacks. Selenium also exerts a protective effect on the artery walls by preventing the build-up of plaque and decreasing the threat of atherosclerosis. An investigative study  has advocated that fermented kimchi helps in lowering the total cholesterol and LDL (bad) cholesterol along with the concentration of blood glucose in the body. Kimchi varieties are rich in powerful antioxidants which are natural scavengers. These antioxidants along with phenols and flavonoids present in it exert a protective effect against oxidative damage and shield the body from the harmful effects of oxygen free radicals. The presence of lactobacillus bacteria in kimchi makes it a multi-talented condiment. It extends its therapeutic effects on various skin ailments such as atopic dermatitis which is characterized by increased levels of immunoglobulin E and skin lesions such as edema and hemorrhage. A study  conducted in this regard has shown that healthy bacteria present in fermented kimchi exerts suppressive effects on mite-induced dermatitis and helps in reducing inflammation. Kimchi is a source of healthy lactobacillus bacteria which the body utilizes for its healthy functioning. This good bacterium also assists in weight loss by controlling the appetite and reducing the blood sugar levels. The fiber content present in it keeps your body full and your hunger satisfied for a longer duration preventing you from overeating. A study  conducted on obese patients has validated the favorable effects of fermented kimchi on the body with respect to body mass index (BMI) and body fat, which helps in reducing the development of factors implicated in metabolic syndrome. The multi-nutrient packed kimchi is rich in a range of flavonoids and phenolic components. The variety of ingredients including ginger, garlic, and peppers involved in the preparation of kimchee are super protectors which are renowned for their beneficial effect on the immune system. They help in fighting infections and are valuable in curing cold and flu symptoms. Another valuable benefit provided by kimchi is its anti-aging qualities, which can be attributed to the presence of antioxidants and vitamin C. A study  evaluating the anti-aging activity of kimchee has revealed that it helps in regulating and attenuating the inflammation that speeds up the aging process. The same study also showed promising results with regard to factors like reduced oxidative stress in the cells, inhibition of lipid peroxidation and extended lifespan in the subjects, making kimchi a potent anti-aging component. Kimchi is a valuable food which helps in reducing the risk of development of various cancers. A study  performed on its samples has validated its anti-cancer properties. Cabbage present in it contains healthy flavonoids which are known to inhibit the growth of cancer cells. Other powerful cancer fighters present in cruciferous vegetables such as cabbage are glucosinolates. Glucosinolates break down to form isothiocyanates which are well-known for their effectiveness against cancerous cell growth. A study  conducted on high-fat-diet-fed type-2 diabetics who were given kimchi revealed the anti-diabetic properties of this Korean delicacy. The study showed better glucose tolerance and lower levels of fasting glucose after eating a kimchi-containing diet in the diabetics. It also suggested that this Korean delicacy can prove more useful in diabetes if it is eaten with a normal or low-fat diet instead of high-fat food. Kimchee exerts therapeutic  effects in gastritis and peptic ulcer disease caused by Helicobacter pylori bacteria. A study conducted in this regard has shown that the antagonistic activity of kimchi attributes to the abundance of Lactobacillus bacteria which inhibit the harmful pathogens from connecting to the human gastric cancer cells. Kimchi is prepared and enjoyed in many varieties. It makes an excellent side dish or pre-meal appetizer. It can also be added to soups, stews or rice dishes. Kimchee serves deliciously well even as a topping on sandwiches or with pancakes. Various studies  have proven the effectiveness of kimchi in curing avian influenza or bird flu virus and many other viral diseases affecting the poultry. Kimchi can be prepared in different ways depending on one’s taste and preference. There are many types available which are made using vegetables including Chinese cabbage, leek, scallion, radish, cucumber, ginseng, garlic, cayenne peppers, and Indian mustard leaves. These vegetables are mixed with desired spices and seasonings and kept for fermentation for specified days under favorable conditions. Digestive Health: Excess consumption of kimchi can lead to digestive problems. Research  conducted in this regard has suggested that too much of it may aggravate the risk of developing gastric cancer. Due to fermentation, kimchi is abundant in fiber which may cause gas and bloating issues in susceptible individuals. It is advisable, to begin with adding small quantities of kimchi in the diet in order to assess its effects. Cardiac Functions & High Blood Pressure: Individuals suffering from high blood pressure should be cautious while eating kimchi because of the presence of high salt concentration, which gets further accentuated during the fermentation process. However, a study  conducted on hypertensive subjects revealed that even under the conditions of hypertension, eating low-sodium kimchi may not exert harmful effects on the blood pressure and cardiac activities. It is always advisable to consult a medical professional before considering it for therapeutic usage. Kimchi possesses  anti-mutagenic, anti-bacterial, and anti-carcinogenic properties. The American health magazine  has ranked it among the world’s five healthiest foods. The wealth of strong antioxidants and healthy bacteria in kimchi encourages the production of collagen which aids in improving skin elasticity, delaying skin aging, and promoting healthy and youthful skin. Lactobacillus bacteria present in it is valuable for yeast infections. It combats nutrient depletion, builds stamina, and serves as a delicious and nutritious condiment. Categories: diet | Tags: cabbage, cancer, cholesterol, constipation, diabetes, diet, digestion, kimchi, probiotics, weight-loss | Permalink. Are Prebiotics the Stress Reliever You Never Heard Of? Before you spend another night tossing and turning from stress, a new study shows that the secret to peaceful Z’s starts with what you’re eating. There are traditional methods for coping with stress, from relaxing in the tub to keeping a bullet journal, but according to the newest study, an effective way to bounce back from stress is to get your fill of foods rich in prebiotics. Researchers from the University of Colorado discovered that regular amounts of prebiotics in your diet can help promote a better balance of gut bacteria and help the body recover following a stressful event. Their study, which appeared in Frontiers in Behavioral Neuroscience, found that including prebiotics—from sources like asparagus, oatmeal, and legumes such as lentils and chickpeas—help our bodies resume normal sleeping patterns following a particularly stressful event. For the study, test rats were given a diet of prebiotics for several weeks prior to a stressful test condition. They were then compared against control rats that didn’t eat a prebiotic-rich diet. Researchers found that the rats that ate prebiotic foods prior to the stressful event didn’t demonstrate any stress-induced disruption in their gut and were able to resume healthier sleep patterns more quickly than the rats on the non-prebiotic diet. No adverse effects have been reported from the use of prebiotics, and with the non-digestible fiber found widely in many plants, breast milk and as commercial supplements, Dr. Mika encourages us to get our fill. These are the best foods you can eat to boost your good gut bacteria, because both probiotics and prebiotics are critical to a healthy microbiome, or gut bug community. One of the most astonishing recent health discoveries is how much our gut microbiome impacts our health. But when it comes to growing good gut bacteria you have plenty of delicious probiotic foods to choose from. Cold potatoes—that is, taters that have been washed, cooked, and cooled—are one of the best sources of resistant starch. Resistant starch is a prebiotic, a type of indigestible carbohydrate that acts like food for gut bacteria, encouraging the good bugs to grow and flourish. While resistant starch has many health benefits, one of its most promising aspects is its ability to increase insulin sensitivity, helping people reduce diabetes risk and even lose weight. Think of kefir as yogurt’s tangier but more powerful cousin. The drink is made by seeding milk with kefir “grains,” which are tiny bundles of yeast and bacteria, and letting it sit. Over time the grains ferment the milk, producing a tart drink full of probiotics, or healthy bacteria. A 2013 study found that kefir can help relieve gastrointestinal problems and allergies and may even have a positive effect on heart health. One caveat however: Many commercial kefir drinks contain very high amounts of added sugar, which feeds bad bacteria in your gut, so make sure you read the label and ingredient list. These are sneaky signs you might be eating too much sugar. Most people go out of their way to avoid green bananas but there’s good news for people who just can’t wait until they’re fully ripe. Green bananas are a rich source of prebiotics, particularly resistant starch. They also have a healthy dose of both soluble and insoluble fiber, vitamins, and minerals. The combo provides a feast for good gut bacteria and helps protect your heart and bones. Can’t get past the taste? Try them boiled or fried or sub some green banana flour in place of regular flour. Here’s how sniffing bananas could help you lose weight. Don’t let the name throw you—this Korean dish is not only tasty but a health superstar. Kimchi is made by fermenting vegetables with probiotic lactic acid bacteria, which gives it the same boost of healthy bacteria as other fermented foods, like yogurt. Plus, since it’s made from cruciferous veggies like bok choy and cabbage along with healthy spices like garlic and peppers, it provides a mega dose of vitamins, fiber, and antioxidants. One study found that kimchi helps protect against cancer, obesity, and constipation while lowering cholesterol, boosting brain and immune function, and even providing some anti-aging benefits. Here are other proven cancer-fighting foods. Sauerkraut is kimchi’s German cousin, a lacto-fermented brine filled with cabbage, carrots, and spices—not to mention plenty of healthy bacteria for your gut. And not only does it have similar benefits as other fermented veggies but a study done by William & Mary college found that eating a daily serving of sauerkraut helped significantly reduce social anxiety. The researchers believe it’s because more than 80 percent of the calming hormone, serotonin, is manufactured in our guts (not our brains!) and the good bacteria boosted serotonin production. Yes, it’s true! Chocolate can help encourage the growth of healthy gut bacteria. A study published in the International Journal of Food Biology found that combining chocolate with probiotics magnified the benefits of both. The chocolate protected the bacteria as it passed through the stomach, making sure it was absorbed in the small intestine while the bacteria helped the body properly digest the chocolate, enabling it to extract all the micronutrients and antioxidants. Talk about a win/win! Here are more healthy reasons to eat chocolate. Everyone’s favorite way to get bad breath also has powerful gut bacteria-boosting properties. Garlic is not only Americans’ number-one favorite spice (after salt) but is also beloved by bacteria thanks to its rich supply of prebiotics, their preferred food. Raw garlic is the best source but for those who don’t like the burn (or who feel like kissing someone later); cooked garlic also works well—so well in fact that a study published in Food Science and Human Wellness found that eating it is an effective way to prevent many gastrointestinal illnesses. Here are more surprising benefits of garlic. Feeling motivated? Try these seven other foods that also boost gut health. Categories: gut, probiotics | Tags: bananas, chocolate, diet, garlic, kefir, kimchi, microbiome, potatoes, prebiotic, probiotics, sauerkraut, stress | Permalink. Think of kefir as yogurt’s tangier but more powerful cousin. The drink is made by seeding milk with kefir “grains,” which are tiny bundles of yeast and bacteria, and letting it sit. Over time the grains ferment the milk, producing a tart drink full of probiotics, or healthy bacteria. A 2013 study found that Kefir can help relieve gastrointestinal problems, allergies, and may even have a positive effect on heart health. One caveat however: Many commercial kefir drinks contain very high amounts of added sugar, which feeds bad bacteria in your gut, so make sure you’re reading the label and ingredient list before buying. These are sneaky signs you might be eating too much sugar. Don’t let the name throw you—this Korean dish is not only tasty but a health superstar. Kimchi is made by fermenting vegetables with probiotic lactic acid bacteria, which gives it the same boost of healthy bacteria as other fermented foods, like yogurt. Plus, since it’s made from cruciferous veggies like bok choy and cabbage along with healthy spices like garlic and peppers, it’s provides a mega dose of vitamins, fiber, and antioxidants. One study found that kimchi helps protect against cancer, obesity, and constipation while lowering cholesterol, boosting brain and immune function and even providing some anti-aging benefits. Here are other proven cancer-fighting foods. Everyone’s favorite way to get bad breath also has powerful gut-bacteria boosting properties. Garlic is not only Americans’ number-one favorite spice (after salt) but is also beloved by bacteria thanks to its rich supply of prebiotics, their preferred food. Raw garlic is the best source but for those who don’t like the burn (or who feel like kissing someone later), cooked garlic also works well—so well in fact that a study published in Food Science and Human Wellness found that eating it is an effective way to prevent many gastrointestinal illnesses. Categories: probiotics | Tags: bananas, chocolate, diet, garlic, kefir, kimchi, potatoes, probiotics, sauerkraut | Permalink. Here’s a quick guide to the foods you need for a healthier gut. 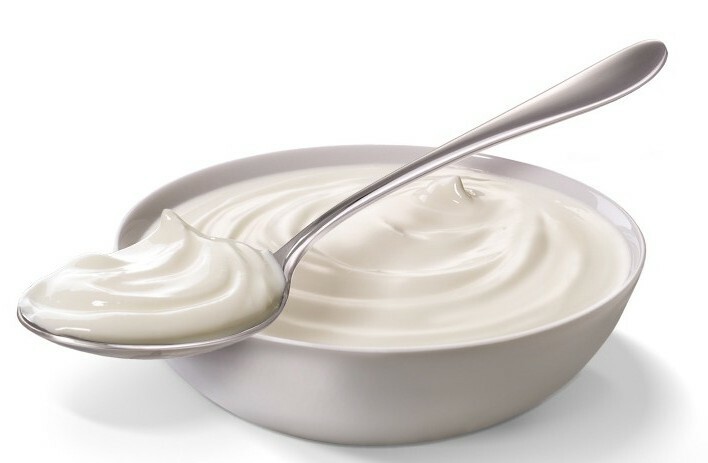 When we think of probiotics, which work to restore the body’s microbial balance, we usually think about yogurt. Truth is, there plenty of other foods you can eat to stay healthy. Kombucha is an ancient Chinese drink made of sweetened tea that’s been fermented using a colony of bacteria and yeast. It’s said to help prevent arthritis and other diseases. Kefir is a dairy-based yogurt-like drink that has its origins in the mountainous Caucasus region of Russia. Millennia ago, pastoralists discovered the process of fermentation and the practice spread widely throughout the Mediterranean as a way to preserve grapes and dairy products beyond the growing season. Sauerkraut is a finely diced sour cabbage dish that has been fermented by a wide variety of bacteria. Kimchi is a Korean dish that’s a spicy, pickled or fermented blend of cabbage, onions and sometimes fish. It can be seasoned with garlic, horseradish, red peppers and ginger. Miso soup originated in Japan and is typically made from fermented soybeans. It can contain up to 160 bacteria strains. Kvass is a traditional Eastern European fermentemted beverage that’s made using black or regular rye bread. It’s often flavored with strawberries or mint. Tempeh is made by fermenting cooked soybeans with a mold. It tends to be firm and chewy and has a slightly earthy taste. Aged cheeses are generally cheeses that have been cured for longer than six months. These cheeses tend to have a full, sharper flavor. These foods tend to be more popular outside the United States, but the trend has caught on in a big way, says Madeline Given, a certified holistic nutritionist in Santa Barbara, California. In addition to probiotic foods are prebiotic foods, which include whole grains, asparagus, leeks, onions, garlic, soybeans, dandelion root or Jerusalem artichoke, Raj adds. The National Center for Complementary and Integrative Health (NCCIH) has a useful resource file on probiotic supplements that explains the pros, cons and unknowns. And there are more reasons than your gut to reach for probiotic foods. They’re good for your brain, too. “After all, 90 percent of the ‘feel-good’ serotonin originates in our gut,” Schenck says. Categories: probiotics | Tags: diet, kefir, kimchi, kombucha tea, miso, probiotics, sauerkraut, tempeh | Permalink. When we think of dementia—or the loss of memory we typically associate with aging—it’s unlikely that most of us think of fermented foods. But probiotic-rich foods, which are foods that contain naturally-beneficial microorganisms like bacteria and certain yeasts, may have an important role in the prevention, and even treatment, of this brain disease. For many years, science led us to believe that we had little control over our brain health and its functioning. Dementia was thought to be the inevitable result of aging. But, there is a growing body of research linking what we eat, how we live, how stressed we are and how much we challenge ourselves intellectually, to our brain health and memory. While many people may be aware that purple grapes, blueberries, walnuts or flax seeds are brain-boosting foods, few are aware that one particular fermented food is standing out from the crowd as a brain health superfood. No, it’s not yogurt, although yogurt with live probiotic cultures may be beneficial to the brain as well. The brain-booster extraordinaire may come as a surprise: kimchi. Kimchi is a fermented blend of cabbage, garlic, onions or scallions, ginger, red pepper or chili peppers and is eaten as an appetizer or condiment. Scientists have identified a whopping 970 different bacterial strains in kimchi. Compare that to the one or two, or occasionally three, strains of probiotics found in most brands of yogurt. Of course, not all kimchi has that many different strains. One strain in particular, Lactobacillus plantarum, which is found in kimchi, is a research-proven antioxidant. The brain is quite vulnerable to free radical damage that occurs as we age, as we eat harmful foods or beverages, as we are exposed to harmful substances in the air we breathe or if we experience a traumatic brain injury. Free radicals are unstable molecules that can damage healthy cells and tissues while antioxidants are substances that neutralize free radicals thereby preventing them from damaging healthy cells in the brain. In a study published in the online medical journal PLoS One, the probiotic, Lactobacillus plantarum, demonstrated antioxidant activity stronger than other probiotics. Obviously more research needs to be conducted, but considering that there are no known side effects other than additional health benefits of eating kimchi, I consider it a great dietary addition, especially if you are experiencing memory issues or are trying to prevent them. In a study published in the Journal of Medicinal Food, kimchi was shown to reduce cholesterol levels and obesity and have anti-cancer effects, among other benefits. Not all kimchi is created equally. Be sure to choose one that contains “live cultures” and has not been pasteurized. You should find it in the refrigerator section of your health food or grocery store. Organic options are best as pesticides used in the growing of vegetables significantly reduces the beneficial bacterial counts in fermented foods. Categories: probiotics | Tags: dementia, diet, kimchi, probiotics | Permalink. You’ve probably heard the buzz already about the many health benefits of probiotics, a word which literally translates to: pro- “for” + biotics “life” — FOR LIFE. But did you know that these remarkable commensal microorganisms, which outnumber our bodily cells 10 to 1, and contribute over 95% of our body’s total genetic information, also break down highly toxic manmade chemicals which your body is either incapable, or only partially capable, of defending itself from? This ubiquitous toxicant — linked to over 40 diseases — found in anything from thermal printer receipts, paper money, canned food liners, dental composites, and of course plastics, is a powerful endocrine disrupter now found in everyone’s bodies. Remarkably, two common probiotic strains, Bifidobacterium breve and Lactobacillus casei, have been found in animal research to help the body detoxify it by reducing the intestinal absorption of bisphenol A through facilitating increased excretion. [i] The animals receiving probiotic treatment were found to have 2.4 times higher excretion of Bisphenol A in their feces, suggesting probiotic supplementation could be of significant benefit to humans as well. Probiotic strains from the traditional Korean fermented cabbage dish known as kimchi have been identified to degrade a variety of organophosphorous pesticides such as chlorpyrifos, coumaphos, diazinon, methylparathion, and parathion. [ii] These nifty organisms actually use these exceedingly hard to break down chemicals as sources of carbon and phosphorous – ‘food’! – and were found to break down the pesticide 83.3% after 3 days and degraded it completely by day 9. [iii] While this test tube study likely does not reflect exactly what happens in our gut when we ingest both chlorpyrifos and Kimchi, it is provocative, and may indicate there is some protective effects in the gut, and certainly cabbage tainted with organophosphorous pesticide which is subsequently fermented as an ingredient in Kimchi would certainly reduce the burden of this chemical in the diet. Lactobacillus bacteria found in food have been looked at as a potential adjunct agent for reducing metal toxicity in humans. According to one study, “This is because they have resistance mechanisms which are effective in preventing damage to their cells and they can bind and sequester heavy metals to their cell surfaces, thus removing them through subsequent defecation.” [iv] The study differentiates between detoxification and detoxication, the former of which is described as “the ability to remove drugs, mutagens, and other harmful agents from the body,” and the latter of which is the mechanism through which ‘good bacteria’ prevent “of damaging compounds into the body.” Because there is a large body of research on probiotics preventing and/or healing up intestinal permeability, this may be another way in which toxic stomach contents are preventing from doing harm to the body as a whole. While not normally considered a ‘toxin,’ wheat contains a series of proteins that we do not have the genomic capability to produce enzymes to degrade. When these undigested proteins – and there are over 23,000 that have been identified in the wheat proteome – enter into the blood, they can wreak havoc on our health. Research has found that our body has dozens of strains of bacteria that are capable of breaking down glutinous proteins and therefore reduce its antigenicity and toxicity. While the role of probiotics in degrading gluten proteins sounds great, a word of caution is in order. Since modern wheat is not a biologically compatible food for our species – having been introduced only recently in biological time, and having been hybridized to contain far more protein that our ancient ancestors were ever exposed to – it would be best to remove it entirely from the diet. Also, the aforementioned research showing bacteria in the human gut are capable of breaking some of these wheat proteins revealed that some of the species that were capable of doing this for us are intrinsically pathogenic, e.g. Clostidium botulinum and Klebsiella. So, relying on the help of bacteria to do the job of digesting a ‘food’ we are not capable of utilizing on our own, is a double-edged sword. Again, the best move is to remove it entirely from the diet as a precuationary step. What Probiotic Should I Take? While plenty of probiotic pills and liquids exist on the market, and many of which have significant health benefits, it is important to choose one that is either shelf stable, or has been refrigerated from the place of manufacture all the way to the place you are purchasing it from. Moreover, many probiotics are centrifugally extracted or filtered, leaving the nourishing food medium within which it was cultured behind. This is a problem in two ways: 1) without sustenance, the probiotics are in ‘suspended animation’ and may either die or not properly ‘root’ into your gastrointestinal tract when you take them. 2) the ‘food matrix’ within probiotics are grown provides a protective medium of essential co-factors that help them survive the difficult journey down your gastointestinal tract. With that said, another option is to consume a traditionally fermented, living probiotic food like sauerkraut, kimchi, or yogurt (focusing on non-cow’s milk varieties, unless you are lucky enough to find a source that has the beta-casein A2 producing cows). There is always goat’s milk which is relatively hypoallergenic. Finally, the reality is that the probiotics in our bodies and in cultured foods ultimately derive from the soil, where an unimaginably vast reservoir of ‘good bacteria’ reside – assuming your soil is natural and not saturated with petrochemical inputs and other environmental toxicants. And really fresh, organically produced – preferably biodynamically grown – raw food is an excellent way to continually replenish your probiotic stores. Food is always going to be the best way to support your health, probiotic health included. Categories: probiotics | Tags: bacteria, BHA, kimchi, pesticides, preservatives, probiotics, sauerkraut, yogurt | Permalink.